After converting to biodynamic farming in 2016, Château Latour's 2017 marks a new shift to indigenous yeast fermentations. My first visit of this trip also happened to be the first official showing of the 2017 vintage for Château Latour, so you can consider this blog a minor scoop, if that matters. Technical director Hélène Genin notes the 2017 season started off drier than usual due to a dry winter. "It was colder than usual and very dry, with only half the usual rainfall during the October through March period. So the vines started with a [water] deficit," she says. "Budbreak was at a normal time, though, and the frost only nicked three parcels that are generally only used for the straight Pauillac. July and August were dry, but not so warm, so that preserved the aromas and acidities. In September there were some rains though (3 inches, nearly twice normal over the 14-year average) and there was some botrytis pressure." "It's a very classic-styled vintage, aromatic and fresh. Not concentrated in terms of the fruit, but concentrated aromas, and very pure expression," says Genin. "Extraction wasn't easy because the berries were small and the skins were so thick, but we didn't want to overextract. So we tried to extract more at the beginning and then slow down at the end, to focus on more smooth tannins rather than rustic tannins." As Latour has progressed in the vineyard with its biodynamic farming, it has also progressed in the winery, isolating and propagating the native yeasts deemed best suited for the wine. 2017 represents the largest amount of production to have native yeast ferment using just nine specific strains of yeast indigenous to the estate (as opposed to each vat kicking off with its own yeast). Genin expects to be using these specific yeasts entirely for the 2018 vintage. Starting with the estate's third wine, the 2017 Pauillac is silky and pure, with lovely violet and cassis notes. Long, supple and with a very lovely mouthfeel, it has 40 percent Merlot in the blend. Consequently it shows a slightly dilute hint, as the September rains affected the earlier-ripening Merlot more than the later-ripening Cabernet. The 2017 Forts de Latour is a notable step up, showing a typical violet and cassis profile, but with a more prominent graphite edge and a brighter, racier feel through the finish. Some nice taut latent grip too, a function of the greater Cabernet percentage here (two-thirds, with the rest Merlot). The 2017 Château Latour Pauillac grand vin is pure and driven, with a youthfully taut edge to the long cassis, raspberry and violet core. It has lots of bay leaf, and iron, too, as it stays tightly focused through the finish, showing terrific length and cut. It reminds me a bit of the 2011 in style, with its slightly taut grip, though director Frédéric Engerer likens it to the 2012. "Even though it is a vintage that was diluted a bit by the rains at the end, it reminds us of a concentrated 2012 in style," he says. "Very polished in feel. But it needs the élevage, the way '12 did. Some vintages such as '15 are delicious right away. '17 needs to open a bit." Yields were generous here in 2017, as most of Pauillac escaped the frost. 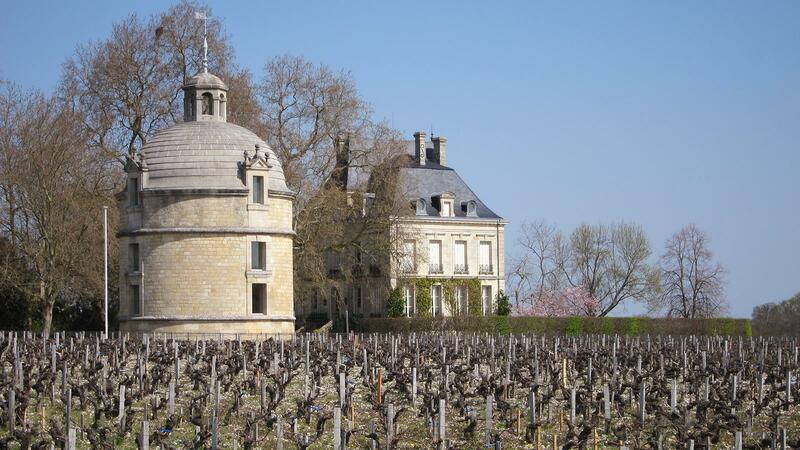 At 2.9 tons per acre, it's the largest crop yield for Latour since 2011.